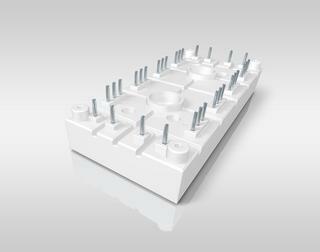 In the harsh industrial environment, converters need to be particularly robust. Another important aspect is cost. SEMIKRON is both a first and second source supplier of power semiconductors to small and large drive manufacturers alike. 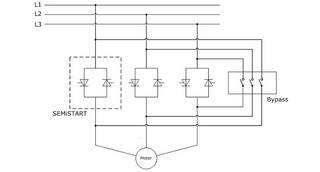 With the exception of certain specific applications, today's electric drive technology uses predominantly three-phase synchronous and asynchronous machines. 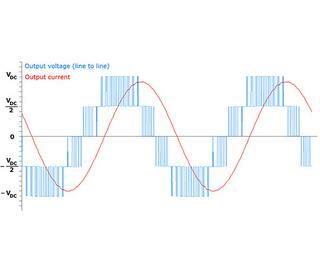 Variable speed control is mostly carried out by frequency converters, which first convert mains voltage into DC voltage, and then into a voltage with variable frequency and amplitude. If the load is regenerative (e.g. because of rotating masses), braking produces electrical energy, which in most cases must then either be converted into heat by a brake chopper and brake resistor, or fed back to the energy grid. 2-quadrant converters are not able to recover energy; braking energy must be converted into heat. 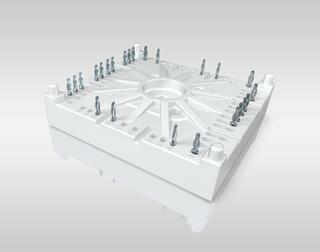 These converters are primarily used in drives with low power output, including the majority of machine tool drives. 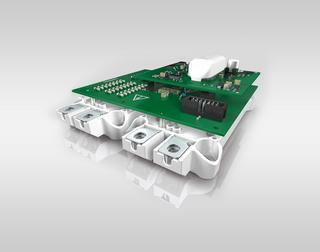 CIB power modules (Converter Inverter Brake module) are preferred for use in converters with low to medium output, up to around 15 kW. 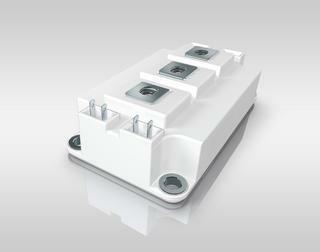 CIB modules of this type contain all the power semiconductors for a converter, the mains rectifier, the brake chopper and the inverter. 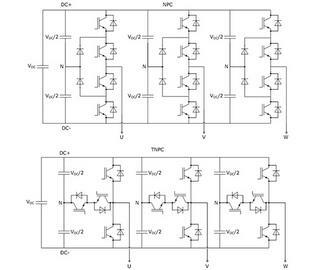 In order to be able to feed energy back to the grid, drive converters with higher output are often rated for 4-quadrant operation, which means they consist of two topologically identical converters at the grid side and the machine side. Ability to recover energy means that, in the event of a regenerative load, the connected machine can feed the generated energy back to the grid. 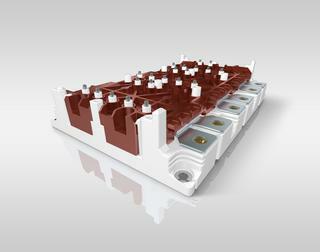 Variable speed control of asynchronous machines can also be achieved with anti-parallel thyristors in each supply phase. 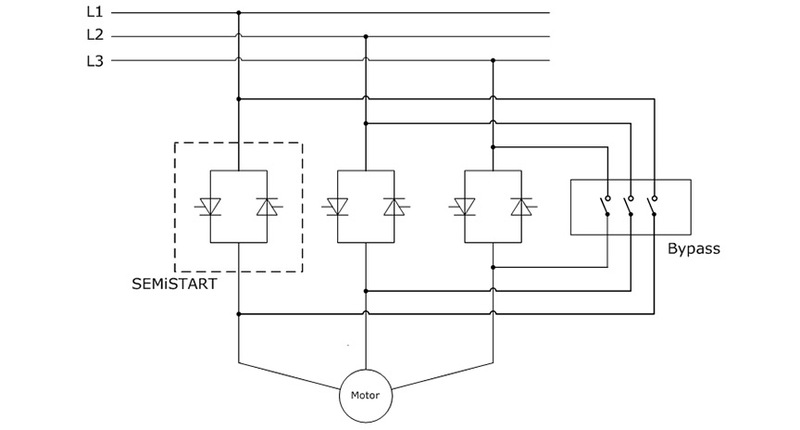 Today, this method is mainly applied to soft starters in order to limit starting current and starting torque. 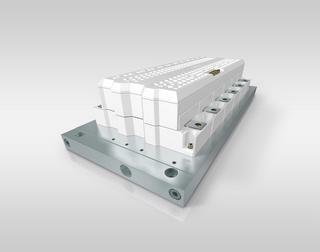 SEMIPACK thyristor modules and specific power modules that contain thyristors connected in anti-parallel for one or three phases, manufactured by SEMIKRON, are a reliable and cost-efficient solution. In terms of quantity, "general" low-voltage drives for universal applications are the largest area of use for frequency converters. 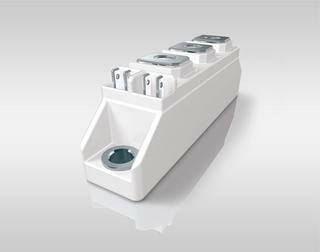 These converters control motors in 2- and 4-quadrant operation and are available in a broad power range, from under 0.5 kW to beyond 1 MW. 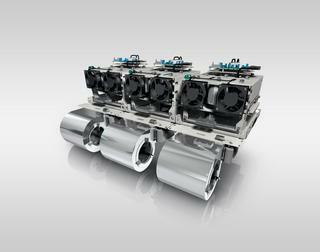 Typical applications include pumps, fans and motors for technological processes. 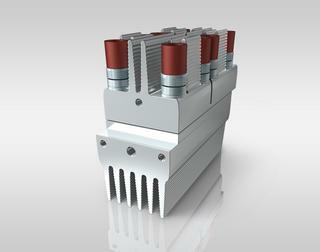 Highly dynamic servo drives are used in applications with high peak loads for controlling position, speed or torque. 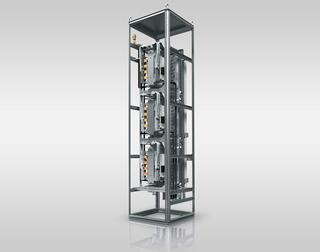 The power range is predominantly between 0.5 kW and 30 kW. These precision drives are frequently used to control 2-quadrant operation of motors in machine tools, industrial robots etc. When it comes to drives for elevators, there are demanding requirements in terms of smooth operation, accuracy of position, reliability and load cycle stability. 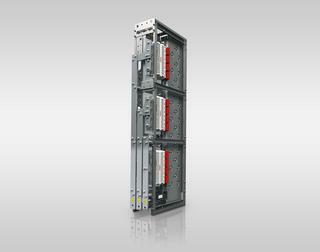 Here, drives with outputs of 10 kW to 250 kW are used for 2 and 4-quadrant operation. 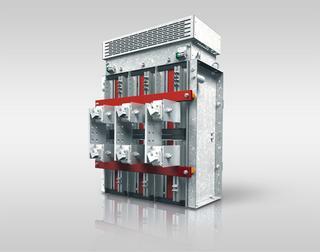 Medium-voltage drives with outputs of 500 kW to 5 MW are used extensively in heavy industry. 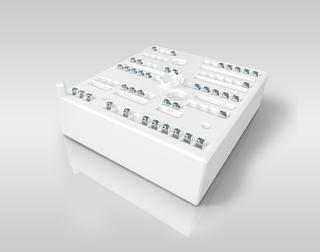 In recent years, multilevel and multi cell topology are increasingly gaining in importance in this market segment. 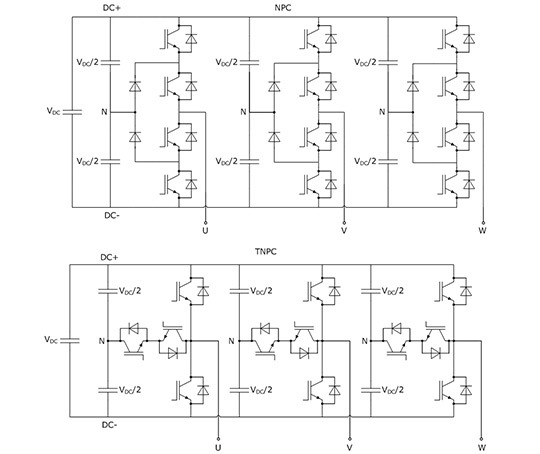 In these topologies, many IGBT or inverter cells are connected in series, allowing for significantly higher system voltages than the blocking voltage of the power semiconductor. 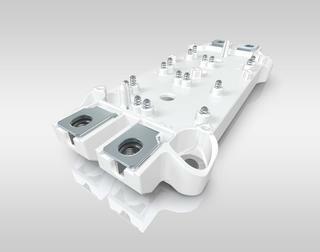 This means that it is possible to use cost-efficient IGBT modules with just 1,700 V reverse recovery voltage in medium-voltage networks with line voltages of 3,300 V and higher. 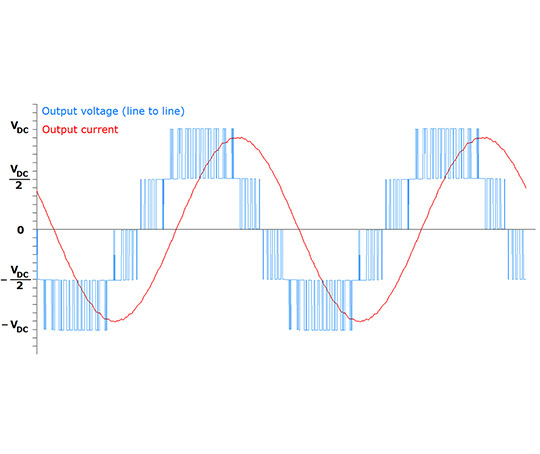 Moreover, multilevel switching of the cells produces low network harmonics, so reducing on filters.